We have compiled frequently asked questions regarding our charter bus service. Q1From when can I reserve a charter bus? Can I make a reservation even one year away? A1Yes, you can. We can accept reservations up to about one year before use. Q2How many days before a trip should I reserve a charter bus? Can I make a reservation just before? A2It is OK if we have an available bus. We recommend you to make a reservation at least 1 month in advance. Q3Is a quotation for charter bus free? A3 Yes, it is free. When the destination, departure date, number of people is decided, please contact us to request a quote. telephone: +81-11-815-1711(Japanese only), fax: +81-11-815-6661. Normally we will reply within 1 to 2 business days after receiving your request for quotation. Q4How many seats are on a charter bus? For details, please see Our fleet page. Q5Does the price change depending on the number of people? A5Fare does not change depending on the number of people. It varies depending on the type of vehicle (large, medium, small). Q6How do I pay for the fare? A6Please pay in cash on the day of use, or make a bank transfer before the date of use. Q7What is your cancellation policy? Will I be charged a fee to cancel my reservation? Q8Can you arrange a bus guide? A8Yes, we can. 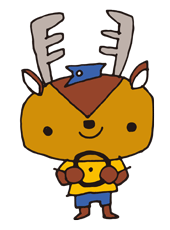 Please let us know if you need a bus guide. Q9Does the quoted fare include accommodation fee for the driver or the guide? A9Since they are not included in the bus fare, they need to be paid by the customer. We can arrange for accommodation place of the driver or the guide. Q10Does the quoted fare include parking fees or highway tolls? A10Since they are not included in the bus fare, they need to be paid by the customer. Please note that "chartered bus arrangement fee" (500 yen) will be charged when you get on the bus at New Chitose Airport. Q11Can I smoke in the bus? A11No. Smoking is strictly forbidden for your safety. Q12What kind of car interior facilities do you have in the bus? Since they vary depending on the type of vehicle. please see Our fleet page. Q13Can I bring drinks and food on the bus? A13Yes, you can. If necessary, we can arrange beverages (soft drinks, alcohol). Q14Can I order arrangements for meals, sightseeing, accommodation ? A14Yes, you can. We have started travel agency business, so please let us know when you need the arrangements. Q15Is it possible to get a pet with me? A15Basically no pets are allowed. If you have a guide dog, please let us know in advance. 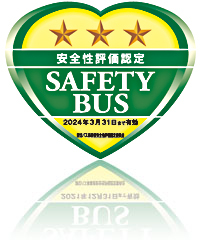 Safety of our buses has been approved by Nihon Bus Association. 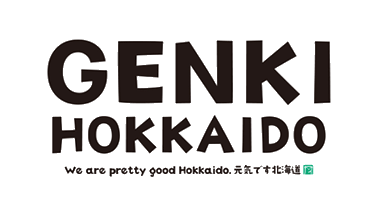 Copyright © 2007-2019 TOKEIDAI BUS CO., LTD.